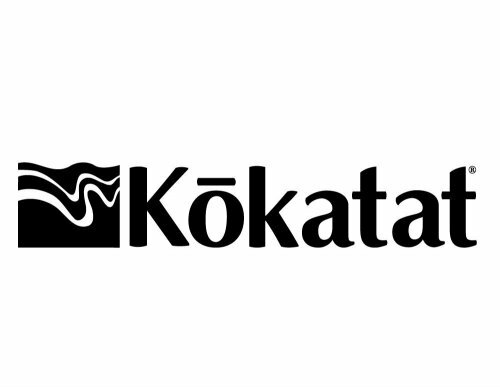 We offer unique clinics & skills trainings throughout the year that allow you to experience wider aspects of the sport, work on specific skills in a more focused way or just provide another avenue to enjoy kayaking, or to introduce you to coaches from other areas. British Canoeing is recognized worldwide for providing high-quality personal paddling skills development & assessment, leadership, and coach training & certification. 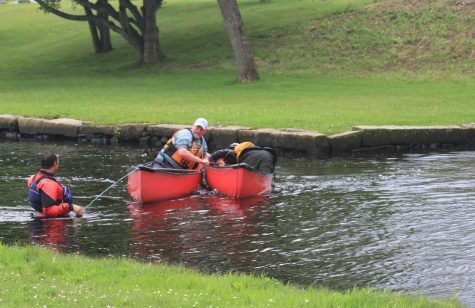 British Canoeing skills and leadership courses are known as Star Awards and range from 1 Star to 5 Star. These awards provide a way to track your own progress as a paddler, and give others a reliable indication of your preparedness for trips and further training. Our British Canoeing coaching staff members are the most accredited coaches in North America and routinely teach and paddle in a variety of disciplines. The FSRT is a broad introduction to safety and rescue and is appropriate for new paddlers, trip leaders, club paddlers or those interested in beginning the British Canoeing Coaching track. During FRST, students will practice using a variety of paddle sport rescue tools and experiment with a range of paddle craft in a hands-on, scenario-based learning environment. 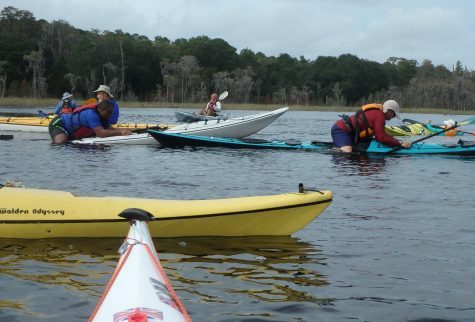 The 2-Star Training is intended to provide students with a solid foundation of paddling principals that translate to all paddle craft as well as preparing for 2-Star Assessment. Throughout the course students will be exposed to a variety of paddle craft–including canoes, kayaks, and paddle boards–and explore how each of these crafts work in the environment. 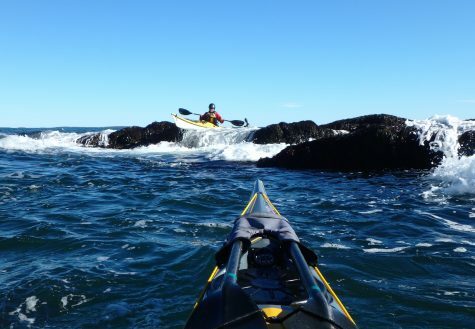 A British Canoeing 3-Star Sea Paddler is able to function as a member of a led group at sea. Therefore they need to understand the environment, be able to maneuver efficiently and effectively, tow other paddle craft, and conduct rescues in moderate sea conditions. In addition, they must be able to practically navigate and assist with trip planning. 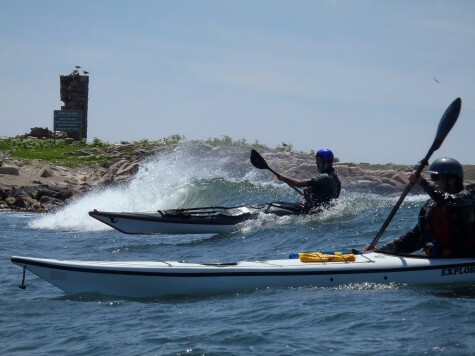 3-Star Training is designed for anyone interested in pursuing 3-Star Assessment or who are interested in increasing their confidence and competency paddling in moderate coastal conditions. British Canoeing 4-Star Sea Leader Training is appropriate for those interested in pursuing 4-Star Assessment or those interested in developing their knowledge, understanding and ability as it pertains to leading others at sea in moderate conditions. Over two days we will explore personal skills, leadership and management skills, decision-making and practical navigation in a highly individualized, development-focused climate. As with all our programs, this course will focus on providing students with principals that can be applied in a variety of contexts rather than specific techniques. Students will leave the training with a comprehensive action plan designed to aid them in their journey toward 4-Star Assessment or their continued growth as sea leaders. manage effective and appropriate bank- and water-based rescues. A range of coaching tips and tricks, games and activities will be built into the course, along with time spent developing your technical/tactical understanding. The course will be delivered over four days and will include both training and assessment. In order to achieve the qualification, you must successfully complete a range of assessment tasks, which include safety and rescue skills, coaching skills and the technical understanding of paddlesport. The assessments are based on a mixture of practical and written tasks and tutor questioning. Prerequistes for UKCC Level 1: British Canoeing 2 Star Award and have completed the FSRT Module. The British Canoeing 2-Star Assessment will allow you to demonstrate your understanding of basic kayaking & canoeing skills. Emphasis will be placed on achieving the desired movement of your paddle craft using good technique & understanding of your environment. The British Canoeing 3-Star assessment will allow students to demonstrate a thorough understanding of safety, strokes, and rescue techniques. 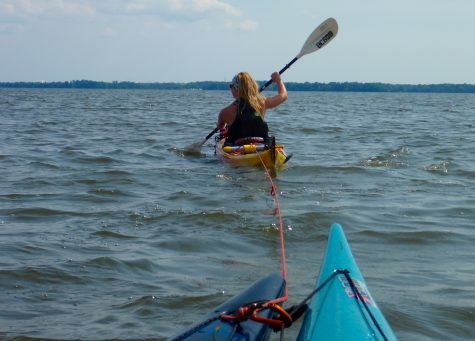 A 3-star paddler will effectively move the kayak in all directions and demonstrate confident maneuvering strokes, recovery strokes, bracing, edging, and rescues. Successful performance at the 3-Star level indicates that a candidate can consider themselves an intermediate paddler rather than a beginner. Please see British Canoeing Guidance notes if you have questions regarding 3-Star skill guidelines. 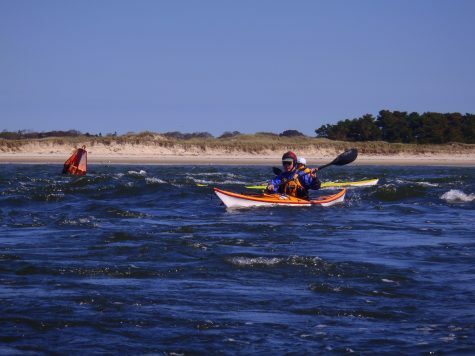 Join British Canoeing Coach 5 John Carmody, and ACA Level 5 Instructor Carl Ladd for a weekend of fun, coastal kayak skills, seamanship & navigation training along the south coast of Massachusetts & Rhode Island. We plan to make use of whatever conditions the ocean provides us: surf, current play, rock gardening and more! Our goals are to increase your situational awareness while we improve your technique & performance in dynamic environments. This training is a student-centered experience, so participants should arrive with plenty of questions and skills they are hoping to learn or refine in addition to their sense of adventure and play. 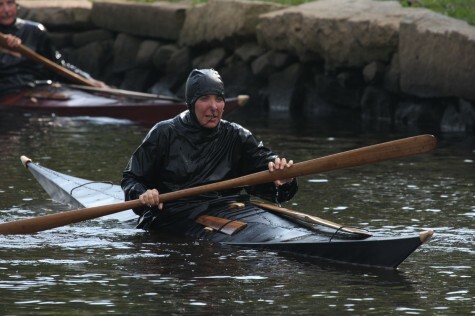 Participants should be British Canoe 3-Star or ACA Level 3 paddlers or higher and be prepared to spend two full and active days on the water. Join Greenland Paddling Champions and Adventure Paddlers Cheri Perry & Turner Wilson of Kayak Ways for a weekend of traditional paddling skills. Explore the elegance and ease of Greenland strokes: canted, sliding, vertical, bow & stern sweeps, bow and stern rudders, and sculling draws. Learn the balance brace, sculling brace, and chest scull, as well as low, high, and deep pry brace recoveries. Engage in the extensive Greenland rolling repertoire: layback forward and sculling rolls with the paddle, norsaq, and more! Cheri and Turner will bring skin-on-frame and stitch-and-glue traditional kayaks, Greenland-style paddles, and tuiliks for a true Greenland experience that will help you transfer your skills to your own kayak. Class size is limited to 8 paddlers to ensure highly personalized instruction.